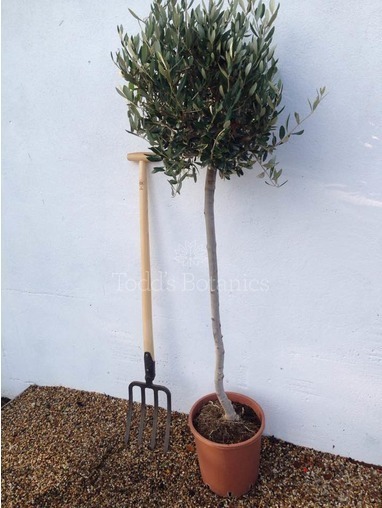 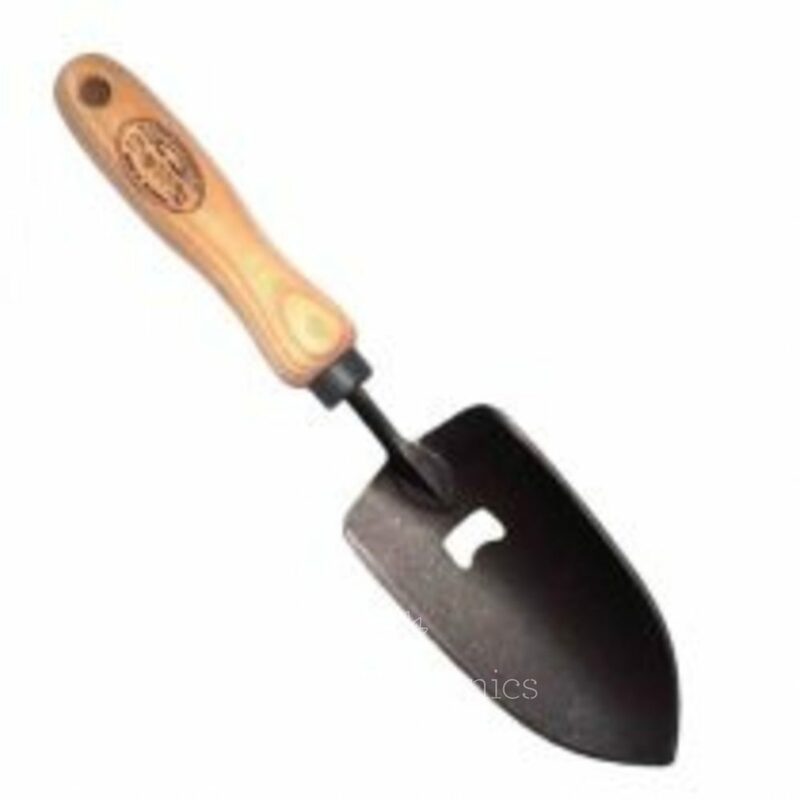 The perfect trowel for gardeners and allotment holders! 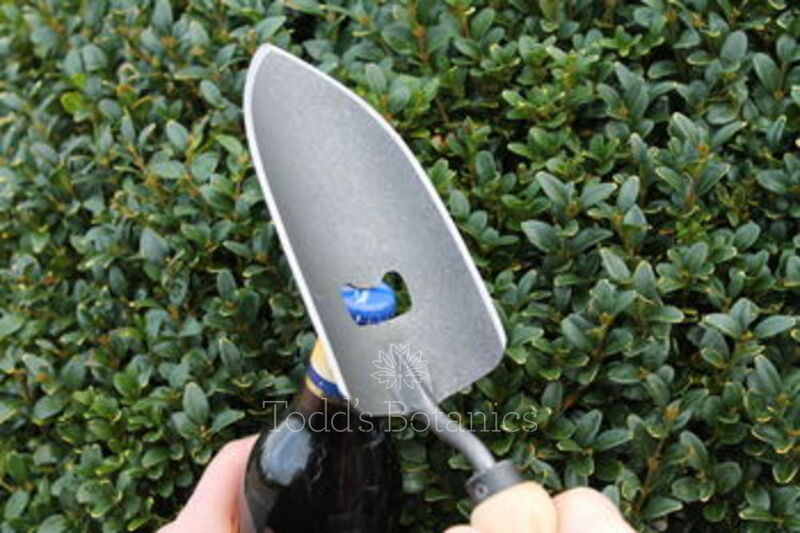 Brilliant garden hand trowel with inbuilt bottle opener! 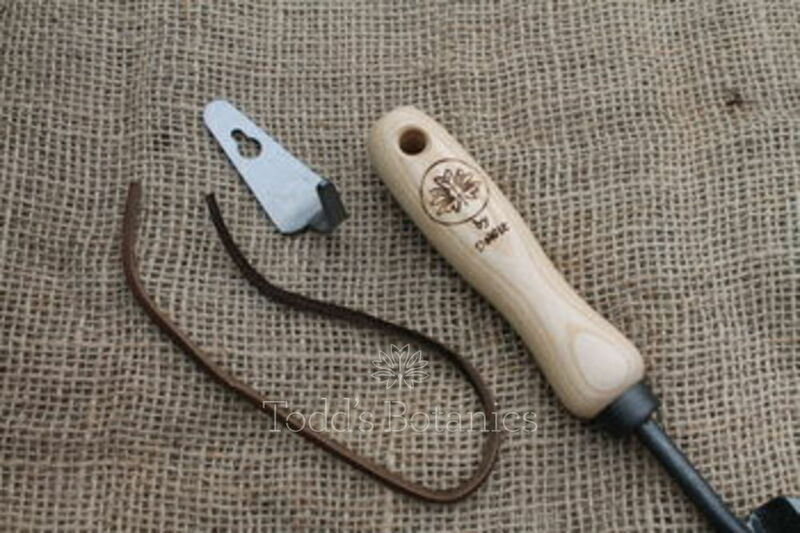 This is a beautifully made and unique garden tool, created specially for all of you who love to open a well deserved bottle after a hard day's graft in the garden or allotment. 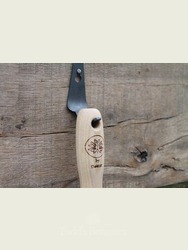 The trowel bottle opener is handmade by the De Wit foundry in Holland. 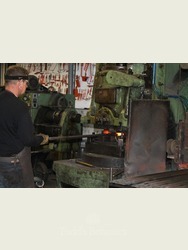 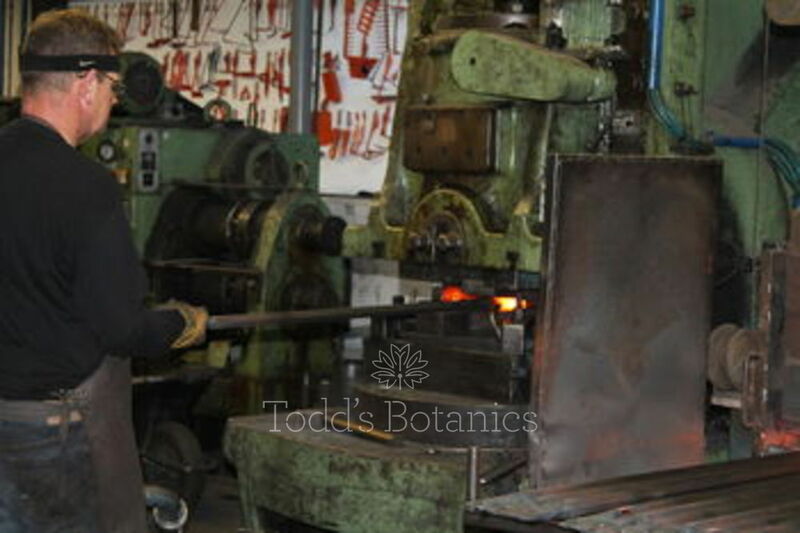 De Wit make the finest garden tools in the world and all their pieces come with a lifetime guarantee. 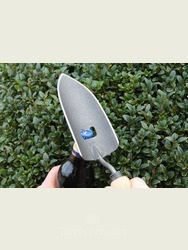 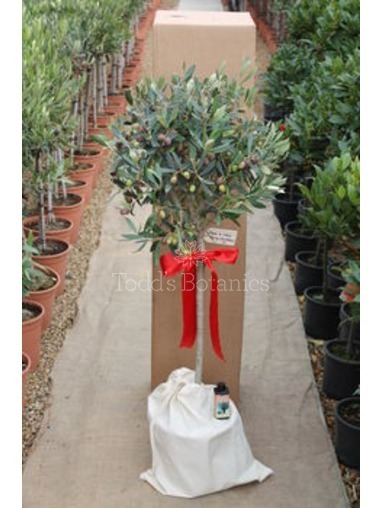 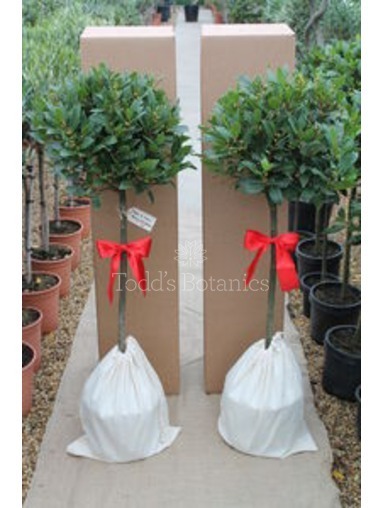 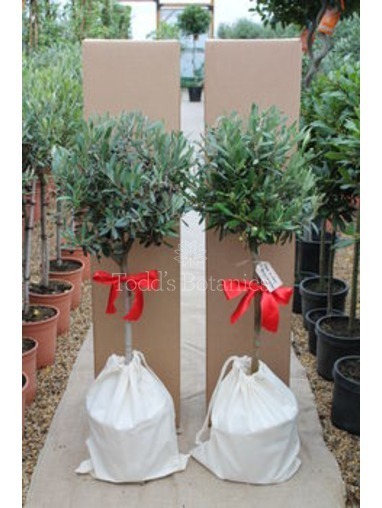 This is the perfect present for anyone who loves their garden and the occasional bottle. 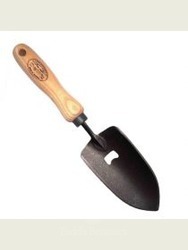 The trowel also comes with a carbon steel hook and leather string for convenient storage. 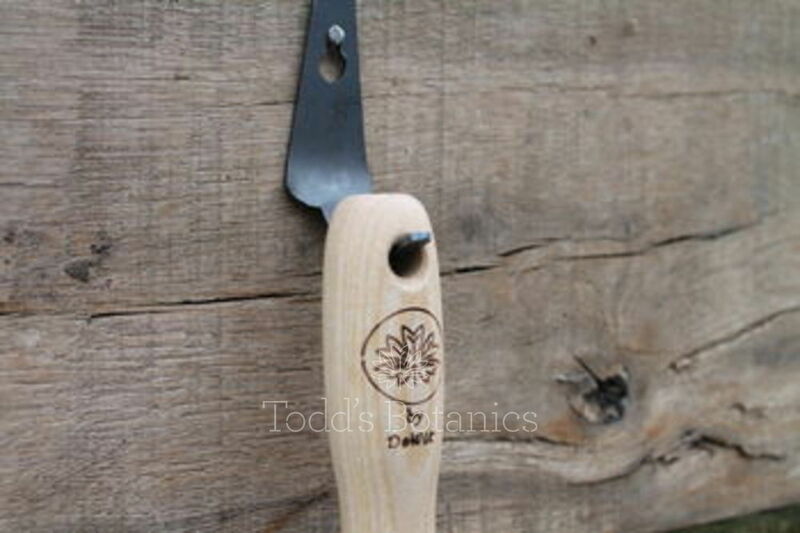 Handmade from forged carbon steel with a beautiful turned ash handle. 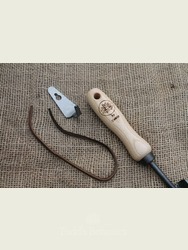 The trowel comes in its own calico drawstring bag and a personalised handwritten wooden gift tag.